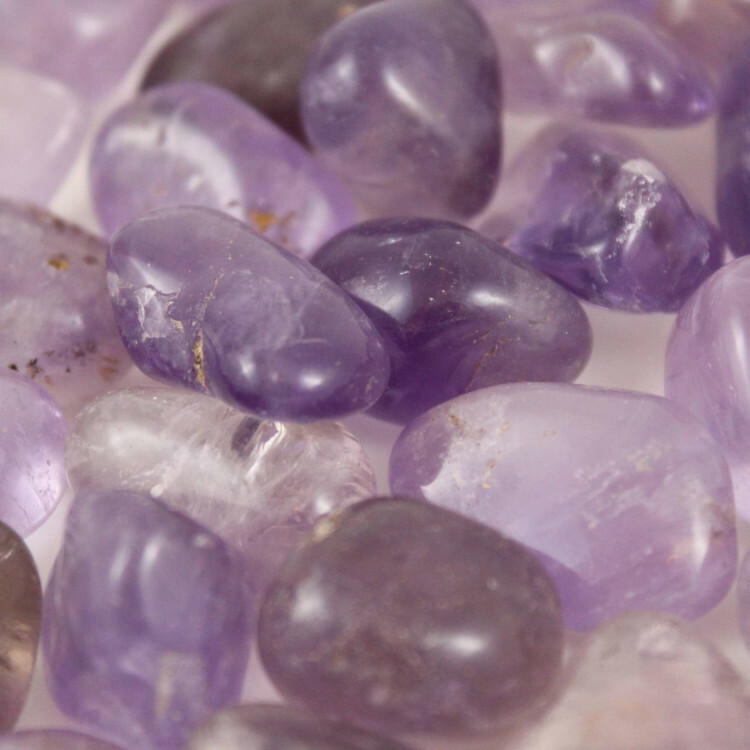 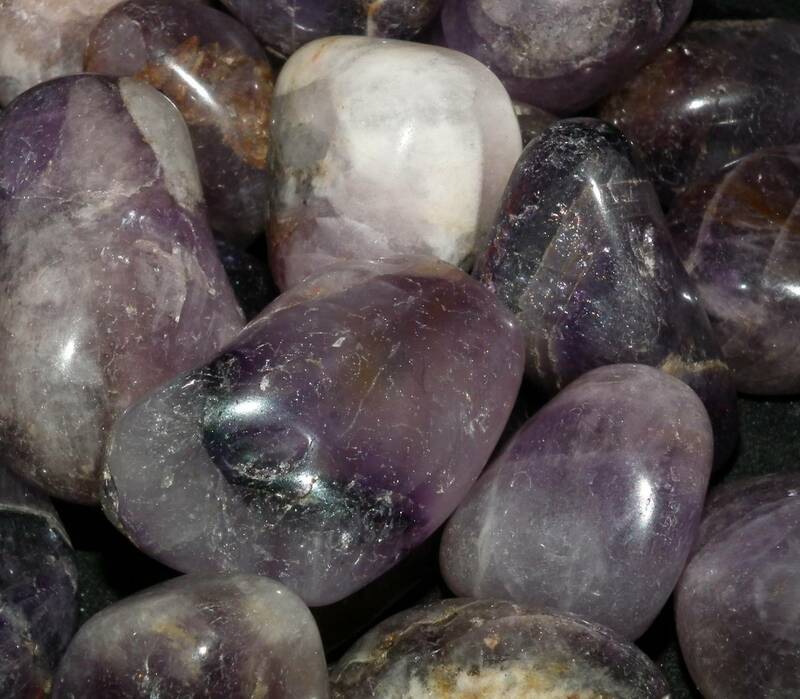 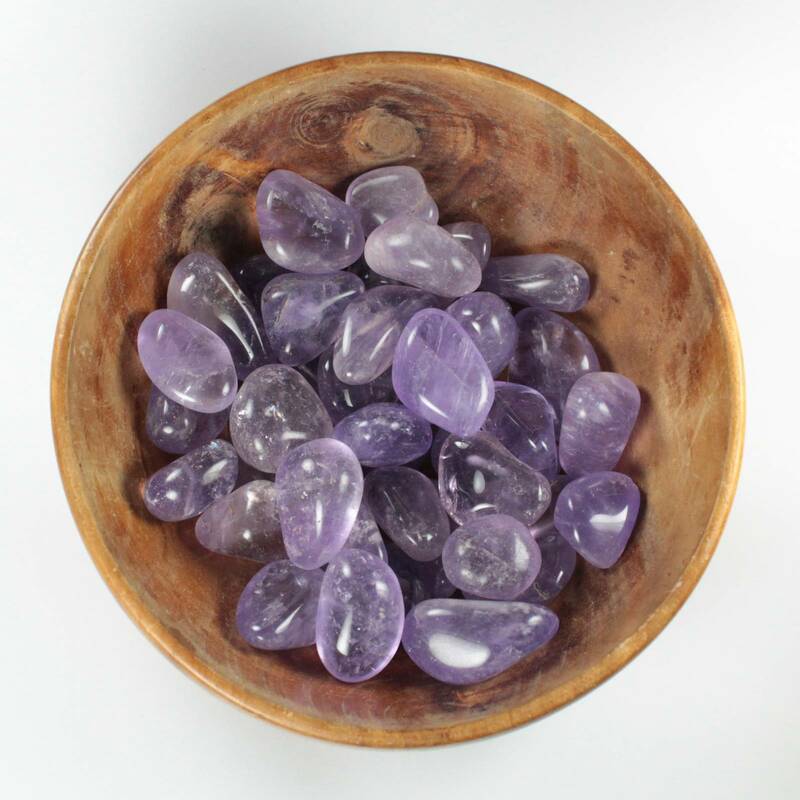 Tumbled pieces of Amethyst, available in a few different sizes and qualities. 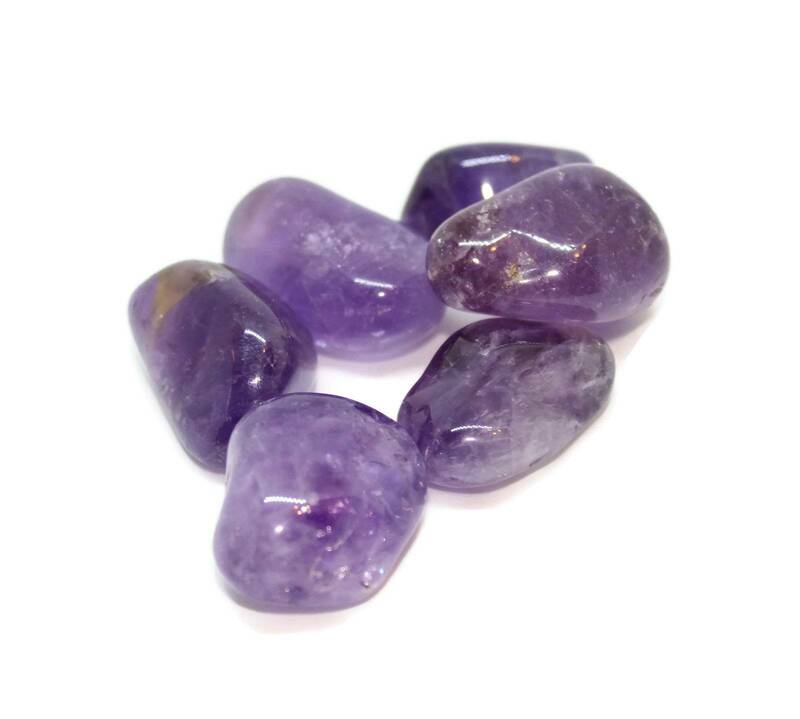 Tumbled Amethyst pieces, available in a few different grades. Our grades run from Grade C to Grade AAA – typically the lower grade stones will have some clouding, inclusions, cracks, iron stains, etc – the higher grade stones will be clearer, stronger purple, and some may even be close to Ametrine. They’d make excellent display stones in a bowl or a small vase, or a smaller fishtank.